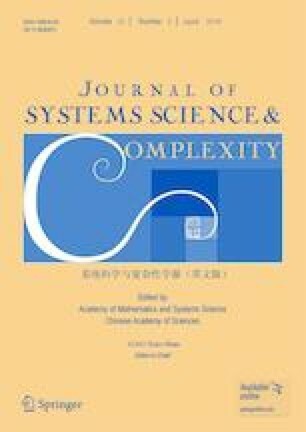 This paper deals with the problem of iterative learning control for a class of discrete singular systems with fixed initial shift. According to the characteristics of the discrete singular systems, a closed-loop learning algorithm is proposed and the corresponding state limiting trajectory is presented. It is shown that the algorithm can guarantee that the system state converges uniformly to the state limiting trajectory on the whole time interval. Then the initial rectifying strategy is introduced to the discrete singular systems for eliminating the effect of the fixed initial shift. Under the action of the initial rectifying strategy, the system state can converge to the desired state trajectory within the pre-specified finite time interval no matter what value the fixed initial shift takes. Finally, a numerical example is given to illustrate the effectiveness of the proposed approach. This research was supported in part by the National Natural Science Foundation of China under Grant Nos. 61374104 and 61773170, and the Natural Science Foundation of Guangdong Province of China under Grant No. 2016A030313505. This paper was recommended for publication by Editor JIA Yingmin.